All instances of theft on the New Silk Road take place in Europe. A second bridge between Malaszewicze-Brest should speed up traffic, and customs clearing could be done before the train hits the track to smoothen border procedures. 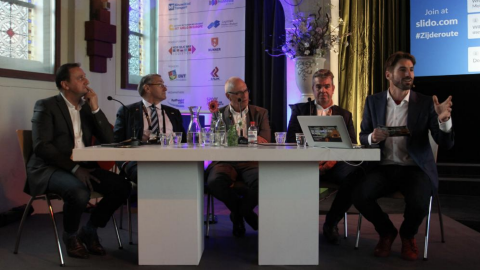 These were the suggestions of logistics providers on stage at the New Silk Road Conference, that took place on 27 September in Tilburg, the Netherlands. We gathered the most relevant questions asked and more importantly, the answers provided by the logistics providers, operators or others who have tried and tested the railway service between the continents. Next week on Tuesday follows part II, with answers to questions that did make it to the stage. What are the main bottlenecks? And how can these be tackled? Most of the experts agree that the main bottleneck on the New Silk Road remains the border crossing Malaszewicze-Brest, the main border point between Poland and Belarus. But to say that the problems arise in Malaszewicze alone is too simple. It is the organisational infrastructure around this border that determines the movement of trains, or the lack thereof. “In Malaszewicze, trains are bound to queue up for the transshipment procedure. For some operators, it is possible to run directly to Brest and avoid the queues in Poland. But this is not for everyone. Our operator for example, may not call on Brest directly”, explained Roland Verbraak of GVT Logistics. In theory, there is enough capacity on the Polish side of the border, and there are several terminals, public and private ones. However, the infrastructure is such that every train needs to cross through the terminal of PKP Cargo in order to reach the other terminals, resulting in congestion, Verbraak explained. And then there is the bridge. In order to get to Brest all trains need to pass a bridge, which is the only construction crossing the Bug River. “There is a second bridge under construction and due to be completed in two years”, said Andrzej Banucha, deputy director of promotion & investor relations department of PKP Cargo. Moreover, the problems do not only arise at this border point. 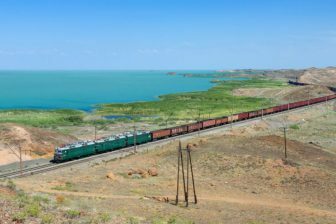 At the junction of Kazakhstan and China trains queue up again for another switch of track gauge and legal system. 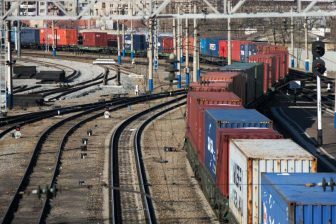 “The problem is not with the operators; the customs clearing at the Chinese border takes a lot of time and is different for every Chinese province”, said Rob Brekelmans, CEO of New Silk Way Logistics. Does theft take place on the New Silk Road? According to specialist Karl Gheysen this is a common misperception, mostly directed towards the countries in between Europe and China. However, the numbers speak for themselves; there are almost no cases of theft on the route. And the instances where goods were stolen were registered on the European side. “We have seen four cases of theft in two years of operation, and all these took place in Europe”, said Verbraak. Does this mean goods in Europe are more vulnerable to crime? According to the logistics providers, it is more simple. The journey through Europe requires more stops than the journey through Kazakhstan and Russia. Here, the train moves uninterrupted for thousands of kilometres. “The incidents happen in Europe when the train is at standstill”, explained Erik Groot Wassink of Nunner Logistics. Is Duisburg the only European hub on the New Silk Road? The question arises as Duisburg, as other hubs on the route, is currently facing congestion. The German hub is full, the logistics providers agree. “The terminal and the surrounding network are overcrowded. That is why we currently take the route via Enschede to get into the Netherlands”, said Verbraak. “Tilburg, Vienna and Budapest are increasingly becoming important”, said Wassink. 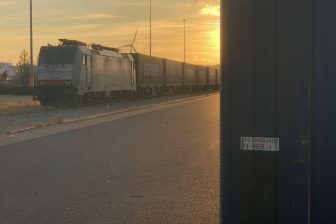 Whereas the European cities invest in their potential as a railway hub, the Chinese operators are receptive of the new destinations and are starting to look for alternative routes, pointed out Brekelmans. Moreover, big shippers that buy up complete trains determine the direction of their cargo. This is how Tilburg has been developed as a hub; the Dutch city is home to many of the big electronic manufacturers, Verbraak added. Is the New Silk Road a threat to the Port of Rotterdam? With this given, the focus is also shifting towards the east, as the eastern European countries are investing in their potential as a gateway. Moreover, the port of Piraeus is growing to become another maritime port into Europe, determined to become a major player on the New Silk Road. “This port is set to become an important gateway in serving the Balkan countries. What we see is a shift of flows; whereas it used to be China-Kazakhstan-Rotterdam it is now China-Kazakhstan-Europe”, said Wassink.